Being home the last few months as really made me want a puppy. I want something to snuggle, train and enjoy. Right now though our life is to unstable to bring a creature into. In fact I made a list the other day of everything I would need to do to prep for a puppy 1. Research types of dogs - as someone will allergies, I need a dog that I can be around 24/7 and still breathe. 2. Have $5000 set aside for emergencies - this amount is not to be used to buy the pup, feed, or any expenses that can occur within the first year of the pups life. 3. Research good training programs - I want to train the pup up to police level. For no other reason than I personally need the training and it would be good for us. 4. Have a stable home environment with access to a yard. Thankfully I have become friends with the most amazing woman recently! Not only is she simple fantastic to be around, she is such a positive light in my life, but she also has allot of experience with dogs. A few weeks ago I wrote about the Dog Show we attended. 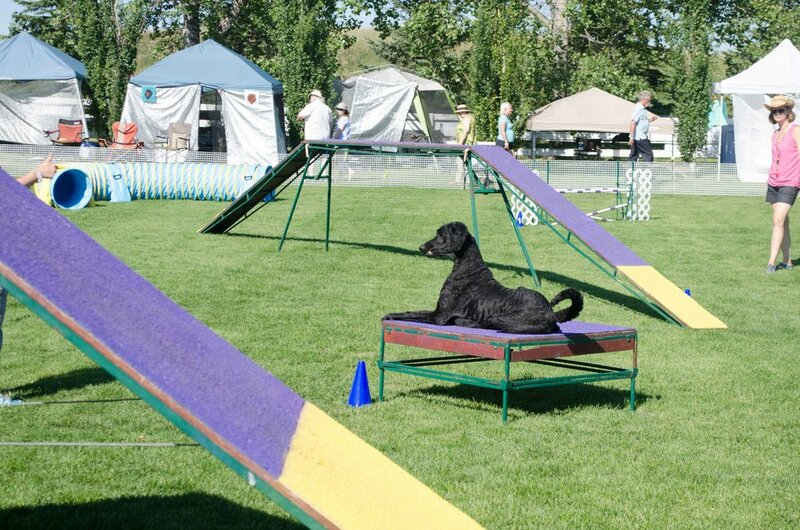 She helps run those and on top of that she also does the Alberta Kennel Club shows and invited us to come look. Now when discussing types of dogs with her, she has recommended I get a Portie or Poodle. The thing is though I am not a huge fan of either. I don't have any pictures of Porties but Poodles usually are put into strange cuts. Lion manes with fluff on their butts, they look ridiculous sometimes! I really really love the look of these dogs, except for the fact that they drool a ton!! And I don't really want a house full of drool. 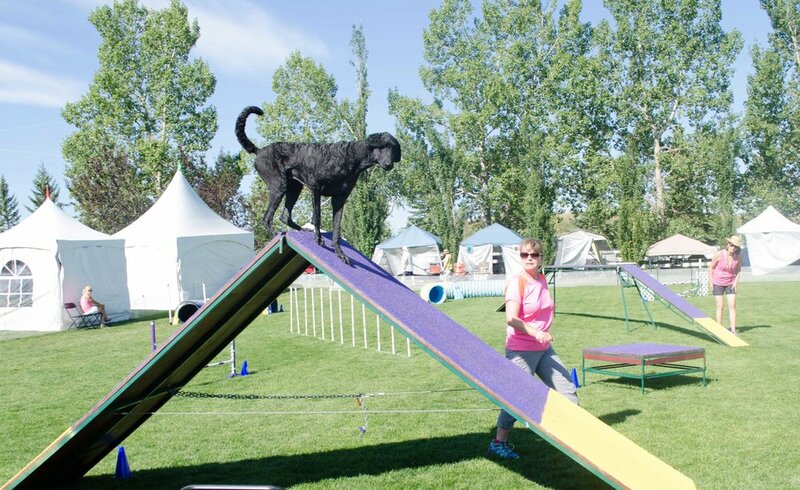 At the Alberta Kennel Club show, I kept seeing this particular dog running around the agility course and I fell in love!! He is so pretty!! It took me a bit but I eventually realized this is a Poodle!! It's just a poodle shaved right down!! So while it will definitely be a while till we get a puppy. I think I have figured out what kind I want. The question now is, do I want to show him and to what extreme? One last thing, I don't recommend going to a dog show outside in the sun all day without proper prep! Water bottles, sunscreen, blanket to sit on and a hat. I unfortunately hurt my neck the day before we went, it caused some discomfort throughout the day, as you can tell from this picture, I'm pretty down. Because of that we didn't end up starting for the whole show. We made it through all the dogs we wanted to see. Next time I would have liked to volunteer and see the whole thing.